Aug 19, 2013 - S.D. 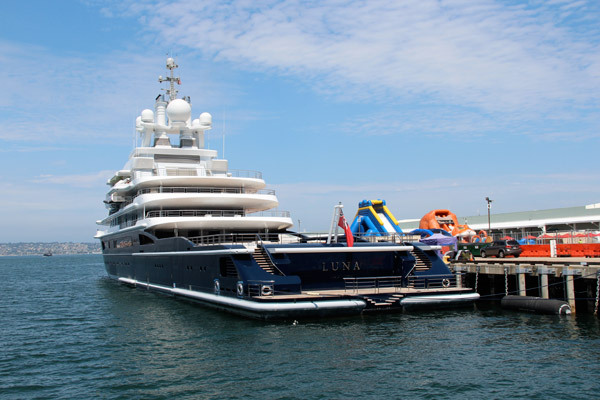 Note the LUNA’s expansive aft deck with the double stairs down to the swimming platform, providing an ultra-luxurious beach club atmosphere for guests. 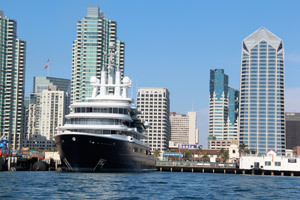 San Diego Bay is playing host to nautical royalty, as one of the largest luxury yachts in the world has been laying anchor here for the last four months. Due to extreme security, it is unknown if the owner is on board. 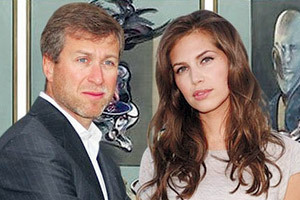 Roman Abramovich, owner of a fleet of mega yachts including the LUNA , pictured above with his girlfriend. 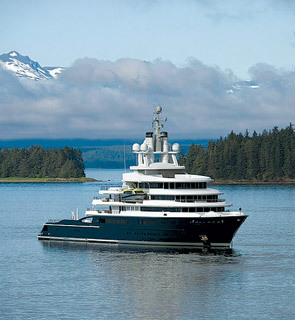 The superyacht LUNA was built by Lloyd Werft and Stahlbau Nord Shipyards as a motor yacht, meant for long sea voyages and exploration. It spends most of its time cruising in the West Mediterranean, or being leased out for charter. 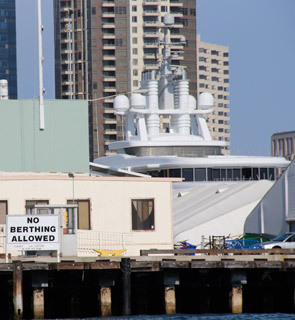 Though 377 feet long, San Diegans may be hard-pressed to actually find the LUNA, since most of it is oscured from public view by surrounding buildings. The top of the radio tower is about all you can see, and can be easily mistaken for the top of a buiding.